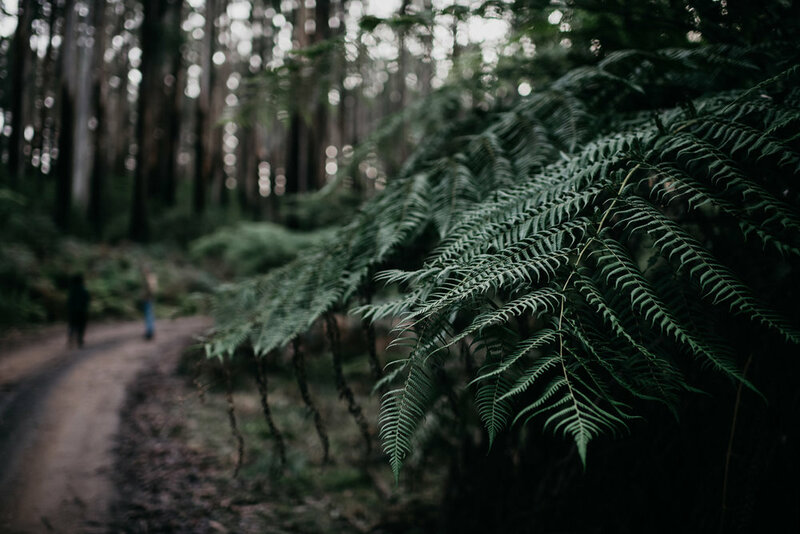 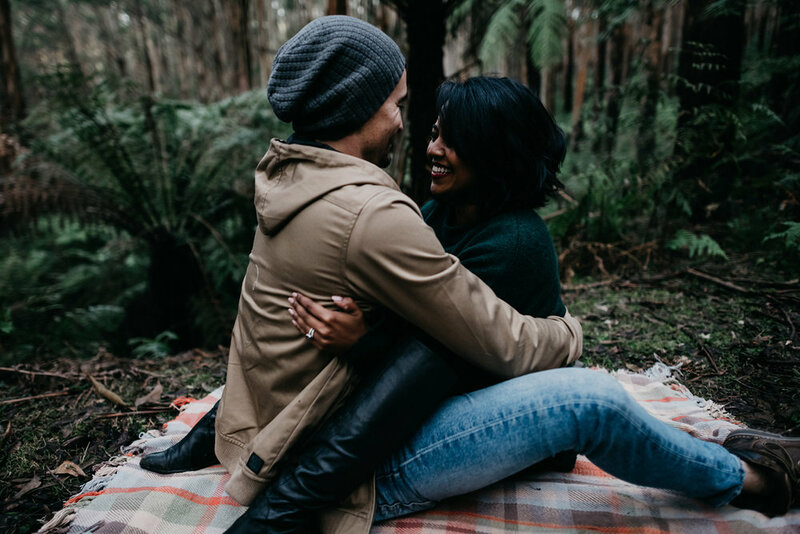 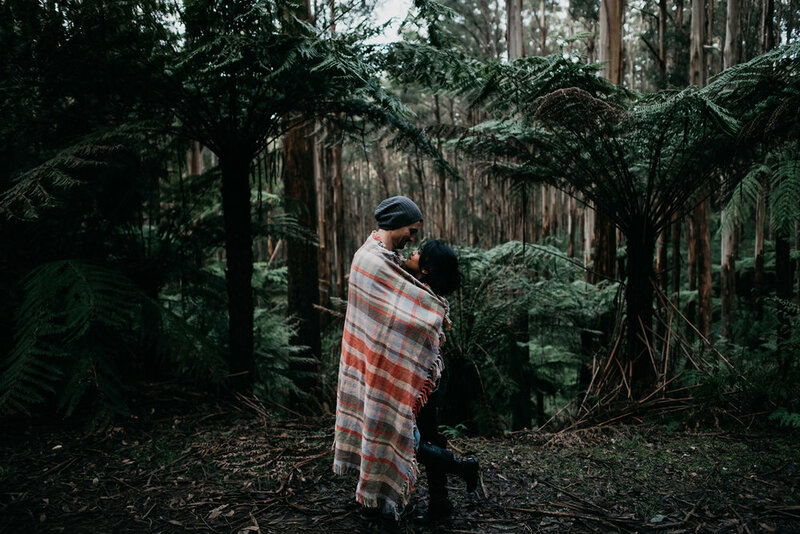 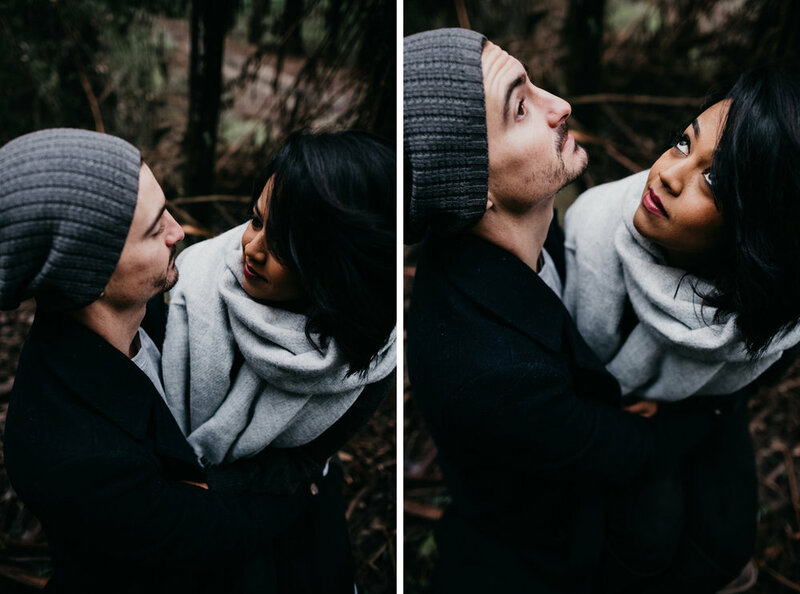 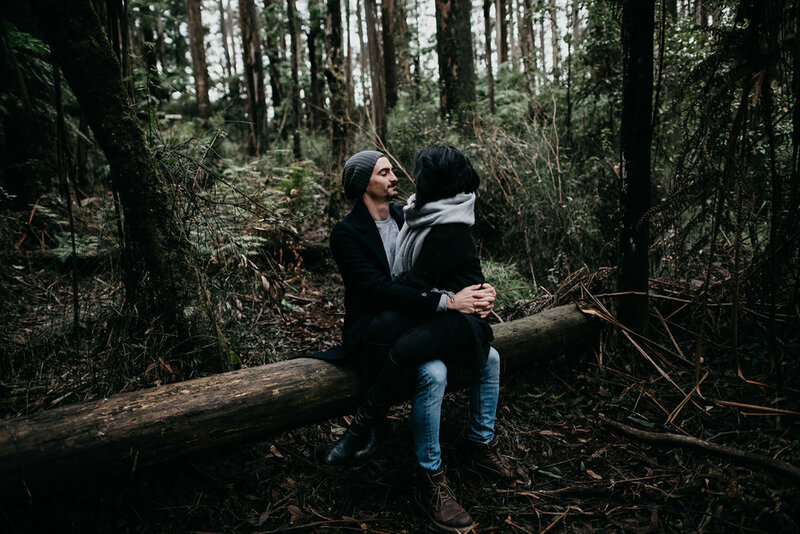 I had the privilege to get to know Josh & Kowsh as we travelled down to the Yarra Valley for their engagement shoot last month. 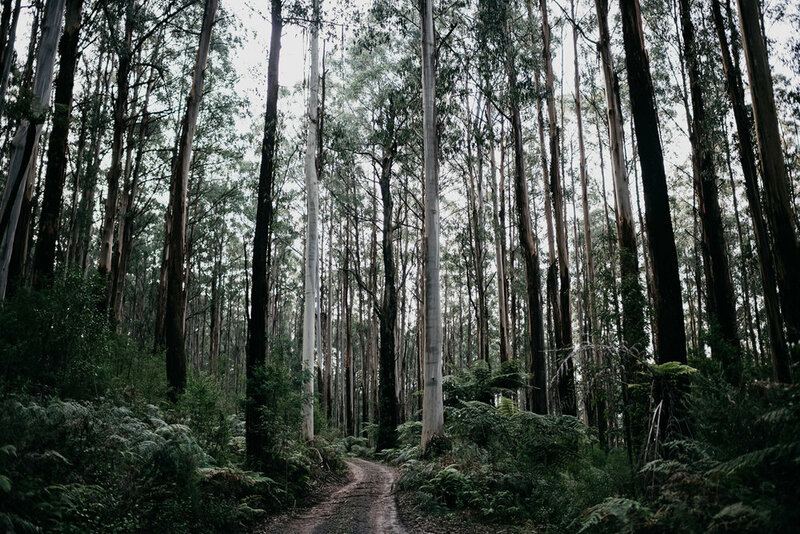 A cold winter's day set the scene for the Black Spur drive, as we ventured deep into the pine forest getting lost off the beaten track. 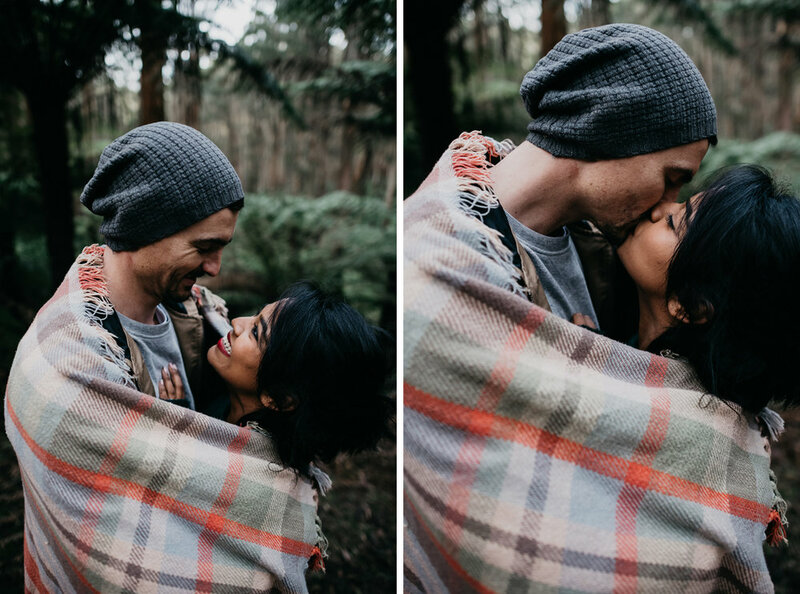 Beanies and scarves were essential as the temp hit 4 degrees, it didn't stop us from having a good time and a cold beer at the local pub after!